One of our road trip reads has been The Martian. I listened to this on audiobook a while back and loved it, absolutely loved it. The science, the problem solving, the suspense. It’s like MacGyver on Mars. Just awesome and I knew the kids would love it. Trouble is, it’s about a guy stuck on Mars…so a lot of swearing, as would be expected for a guy stuck on Mars. It’s not exactly appropriate for a kid to read or listen to the audiobook. Which left me the option of reading the book aloud and using my mama censor to cut out the cursing. 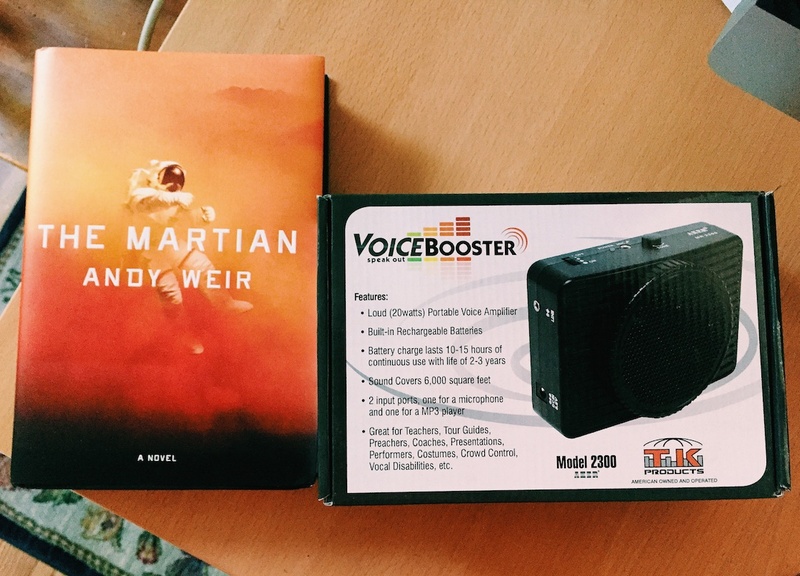 The idea of yelling an entire book while driving was not very appealing, so I problem-solved like Mark Watney and found a solution: the portable voice amplifier. You know, the things that tour guides and docent at the museum use? It’s perfect for reading in the car, and I’m looking forward to pulling it out in public some time. Like, in the mall or some place horrifying like that. The kids are loving the book so far. Most of our camping on this trip has been boondocking, so living off of limited power, water, and sewer. 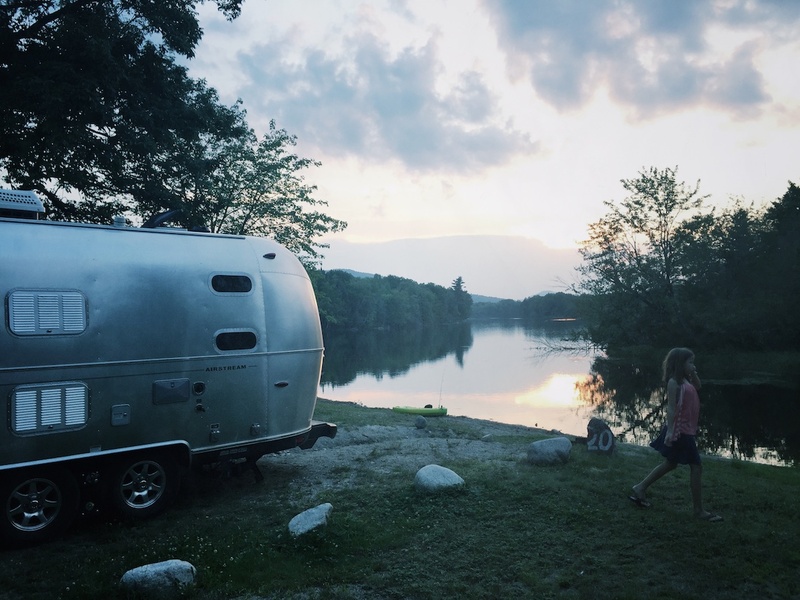 As such, the kids have taken to calling the Airstream…the hab.